MANILA – The 147 workers in packing plant 90 of Japanese giant Sumitomo Fruit Corp. (Sumifru) in Compostela Valley are back at work beginning today June 19, after the conclusion of their strike which lasted nine days. Sumifru reportedly agreed to reinstate all the workers it fired last week in what the unions in the banana packing plants described as a foul, retaliatory action by Sumifru for their previous success in opposing wage cuts. Aside from agreeing to reinstate the workers, Sumifru also signed yesterday in the memorandum of agreement with the workers’ union that there will be no retaliatory actions due to the strike. Barrios has worked in the banana plantation and packing plants for 25 years now, almost half his life as he is now 52. Majority of his co-workers have also worked for years for the fruit company even before Sumifru merged with Stanfilco to control now what the PEZA director general Lilia de Lima has described as the biggest employer in agro-industrial economic zones. In 2014, Sumifru employed more than 24,000 workers in such economic zones according to de Lima. Last week, battling Sumifru’s union-busting, the union Namasufa-Naflu-KMU declared a strike on June 10, two days after 147 regular workers of Packing Plant 90 were terminated. Namasufa exposed as “made-up” the reason cited for the workers’ dismissal – a supposed land rent dispute between Sumifru and the landowners for a part of its banana plantation. The banana workers’ strike was bolstered by a ‘sympathy strike’ of workers in another packing plant of Sumifru, by work slowdowns and other protest actions in other packing plants, and a warning from the alliance of these unions of banana workers that they would also launch a strike if the fired workers were not reinstated soon. After nine days of strike, it was ended on June 18 as Sumifru signed a settlement agreement with the union and their federation. Vicente Barrios said the recent development constitutes a temporary but significant victory in their continuing struggle against the Japanese corporation’s attacks on workers’ rights. A month earlier, the workers’ unions coming together as Banana Industry Growers and Workers against Sumifru (BIGWAS) protested and successfully foiled Sumifru’s shift to the piece-rate pay scheme or pakyawan which slashed by at least half the workers’ already meager wages. Following a series of mass actions from the unions, Sumifru suspended the implementation of piece-rate pay system and reverted to the hourly rate on April 22. Such a skirmish between SUMIFRU and workers over their share in the profits from exporting bananas was apparently not the first or the last. Sumifru has also tried to implement the piece-rate system two years ago, but was foiled by workers’ protest. 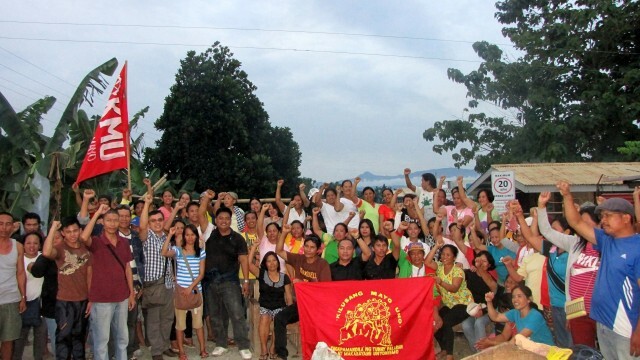 From July to October in 2013, workers from Packing Plant 340 Golden Coop/Sumifru in Brgy. Osmena, Compostela, Compostela Valley Province resisted the implementation of piece-rate system and demanded to restore the usual practice of daily/hourly rate, according to a statement of Reynaldo R. Ubaldo, National Conciliation and Mediation Board Executive Director IV. Barrios and the leaders of BIGWAS have said the banana workers have crossed swords with Sumifru since they organized into unions. Meanwhile, Kilusang Mayo Uno Southern Mindanao lauded the resolution of the strike, and congratulated the workers for having successfully brought all dismissed workers back to work. He recalled how the “repressive labor relations” in the area was probed by an international fact-finding mission led by the International Labour Organization in 2009. He added that Namasufa’s union president, Vicente Barrios, had earlier been targeted in an ambush in 2006. Barrios was injured in the attack while a worker accompanying him was killed. Until now, tens of thousands of banana workers under SUMIFRU are considered not as direct employees of Sumifru but of manpower agencies or cooperatives contracted by Sumifru. Barrios said they have a pending case about this in the Supreme Court, and they expect its resolution this year. 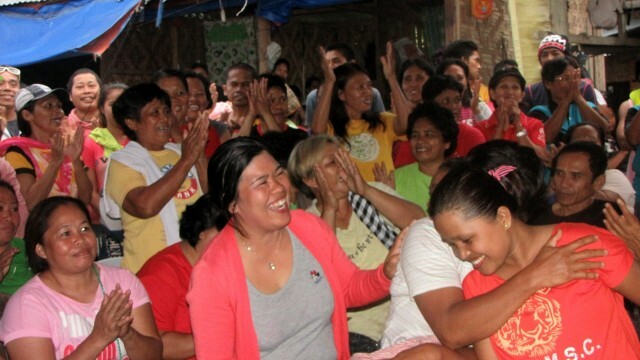 “We have yet again proven that a labor strike is an effective tool that workers can use in order to defend their unions, seek improved working conditions and resist unfair labor practices,” Olalo said of the case of Compostela’s banana workers. He traced their latest victory to the workers’ “firm unity” and active struggle, and their hold on the principles of genuine and anti-imperialist unionism.